Carmelo Anthony is displaying his stuffs in New York, but Jordan Brand is set to release an impressive Chicago Bulls-themed Jordan Melo M7 Future Sole soon. 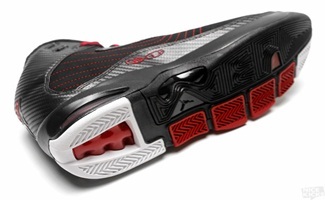 This Black/Varsity Red edition of the Jordan Melo M7 Future Sole will be coming out anytime soon after it surfaced in the web a few weeks ago. 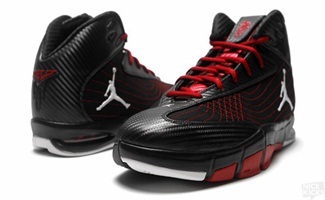 The silhouette sports a black nubuck base enhanced with carbon prints on the perimeter. The tongue features the “Future Sole” logo, while also paying tribute to Melo’s late sister with the “Chelle” infinity logo. This one looks very impressive so watch out for it. We will keep you updated!